A birth philosophy is a set of ideas, truths and values about birth that someone believes in and holds to be true. More often than not, doulas who have birth philosophies, proudly display them on their websites and in their decorum on the job. Sometimes these philosophies are centered on minimalizing intervention to only medical necessity. Sometimes the philosophies are centered on mother baby bonding. Either way, if a doula is displaying a birth philosophy on her website or within her actions during prenatal appointments or at a birth, these are philosophies that the doula holds to be true. 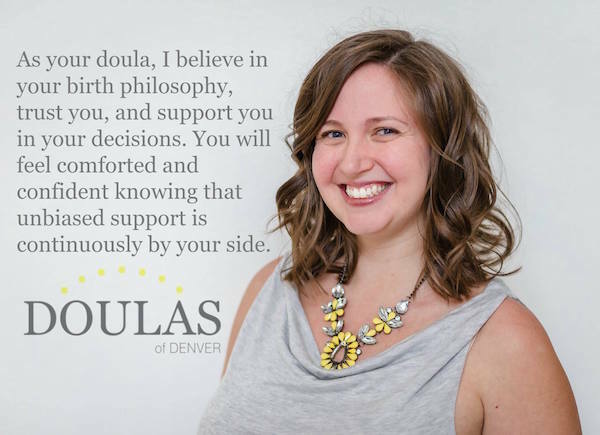 At Doulas of Denver, all of our doulas respect, support and encourage you in your philosophy. It is not our job or place to have a philosophy about your birth. Our personal values and beliefs about birth under no circumstances have a place in your birth. What is unique about Doulas of Denver is our support is only centered only on our client’s philosophies, values and beliefs about birth. We believe in you and trust you as clients. We believe you have the knowledge, education and support to make the decisions that you need. We trust you to ask if you have a question about something. This is why we are able to support a wide array of birth options. Our opinions on your birth choices should never, at any point, come into play during your birth experience. The only thing that matters is that our clients feels 100% unwavering support. That is why clients come to Doulas of Denver. When we are hired, our clients know that we provide true, judgement free support, loving emotional support and can offer information upon request. The core of our job is to support families in their decisions. If there is ever a point where our values become our agenda, then we cease to practice within the standards we have set and that our clients deserve. If you are interested in true, nonjudgmental support during your pregnancy, birth, and postpartum experience, Doulas of Denver is able to offer your the best support of that type. Give us a call at 720.675.8343 or visit us online at www.doulasofdenver.com. We look forward to supporting you!